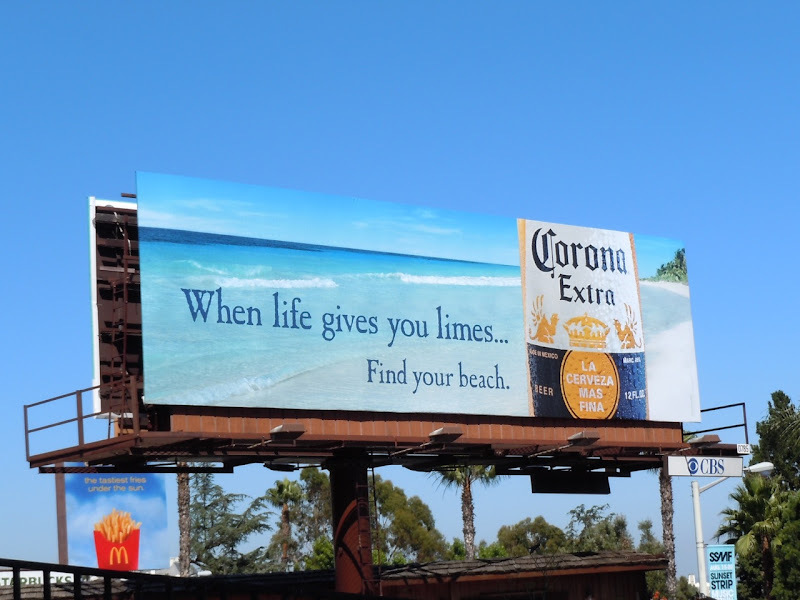 Daily Billboard loves Corona Extra's refreshing take on the saying 'when life gives you lemons, make lemonade'. 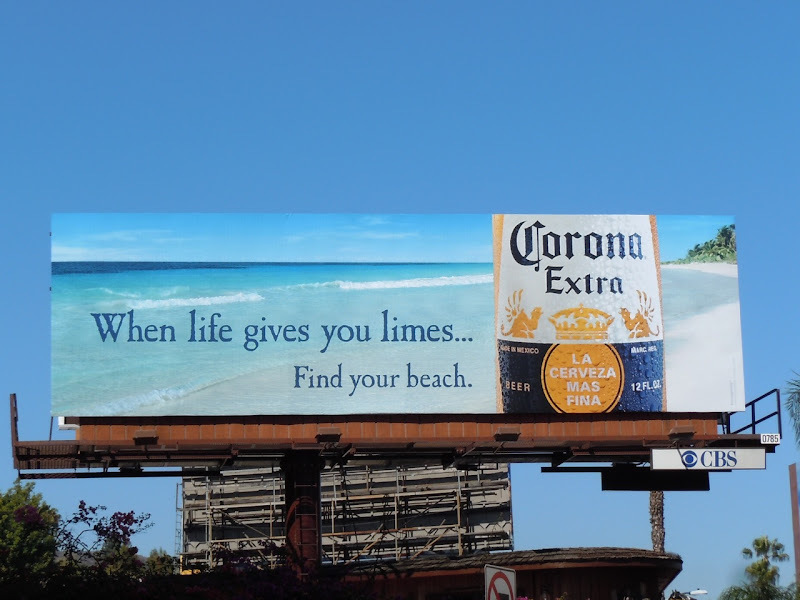 By playing on the trademark lime wedge that is commonly served with the popular beer, Corona's slogan wittily becomes 'When life gives you limes... Find your beach'. 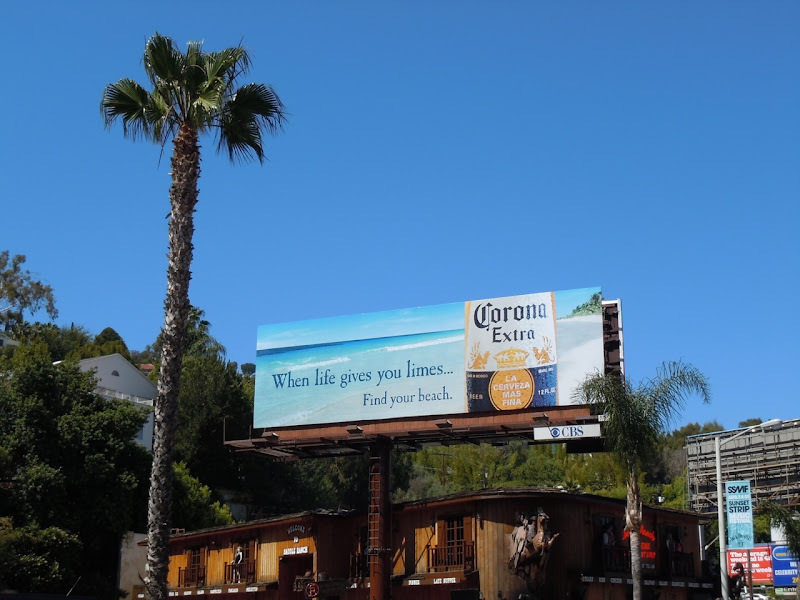 This thirst quenching billboard was snapped along L.A.'s Sunset Strip over the Saddle Ranch Chop House on June 27, 2011. Be sure to check out more Corona Extra billboards here at Daily Billboard. 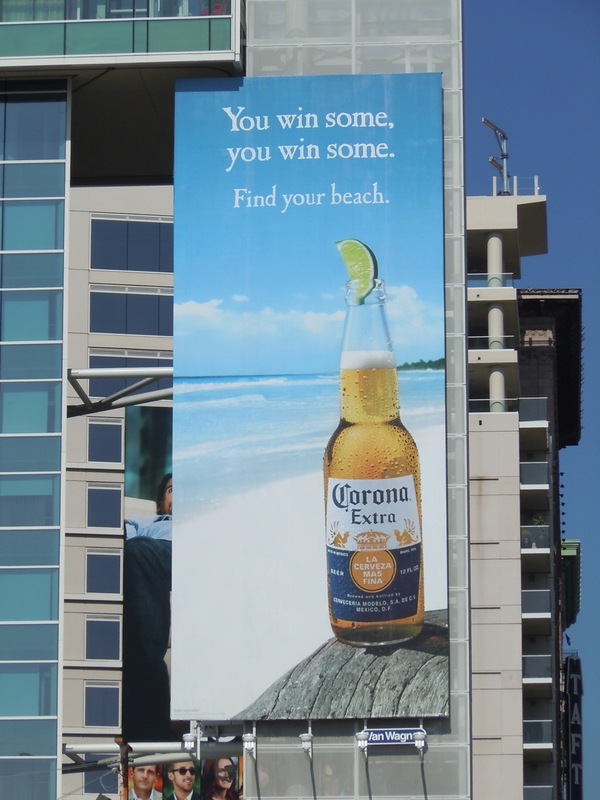 UPDATED: Here's another witty billboard from the current Corona campaign snapped at the W Hotel in Hollywood on July 24, 2011.